04/17/2019 QUEEN ZENOBIA : The Execution. 04/02/2019 QUEEN ZENOBIA : The Execution. 03/18/2019 QUEEN ZENOBIA : The Execution. 03/01/2019 CONQUERED. Part 4: The Princess A new chapter starts! 03/01/2019 QUEEN ZENOBIA : The Execution. 02/16/2019 CONQUERED. Part 4: The Princess A new chapter starts! 02/16/2019 QUEEN ZENOBIA : The Execution. 01/30/2019 QUEEN ZENOBIA : The Execution. 01/14/2019 More on CONQUERED. Part 3: The Archer A wonderful 3D movie! 01/14/2019 SAFE PASSAGE Great story by Eda Chang NOW THE STORY IS SHOWN COMPLETE AT THE SITE! 01/14/2019 QUEEN ZENOBIA : The Execution. QUOOM TEAM WISH YOU HAPPY NEW YEAR! 12/18/2018 QUEEN ZENOBIA : The Execution. 12/06/2018 QUEEN ZENOBIA : The Execution. 11/19/2018 QUEEN ZENOBIA : The Execution. 11/05/2018 QUEEN ZENOBIA : The Execution. 10/17/2018 QUEEN ZENOBIA : The Execution. 10/05/2018 QUEEN ZENOBIA : The Execution. A wonderful 3D movie! 08/30/2018 More on CAUGHT PESCHMERGA A wonderful 3D movie! 08/17/2018 More on CAUGHT PESCHMERGA A wonderful 3D movie! 07/20/2018 More on CAUGHT PESCHMERGA A wonderful 3D movie included! 06/14/2018 More on CONQUERED. Part 3: The Archer A wonderful 3D movie included! 04/30/2018 QUEEN ZENOBIA is back! A wonderful 3D movie included! 03/17/2018 More on CONQUERED. Part 3: The Archer A wonderful 3D movie included! 02/28/2018 More on CAUGHT PESCHMERGA A wonderful 3D movie included! 11/15/2017 More on CONQUERED. Part 3: The Archer A wonderful 3D movie included! 10/30/2017 More on CONQUERED. Part 3: The Archer A wonderful 3D movie included! 10/16/2017 More on INQUISITION HELL -2 A wonderful 3D movie included! 08/30/2017 THE ORDEAL OF ANN E HESKEW is back! 06/12/2017 More on INQUISITION HELL -2 A wonderful 3D movie included! 05/11/2017 More on CHINESE TORTURE CHAMBER A wonderful 3D movie included! 04/26/2017 More on INQUISITION HELL -2 A wonderful 3D movie included! 03/24/2017 THE ORDEAL OF ANNE HESKEW A wonderful 3D movie included! 03/12/2017 THE ORDEAL OF ANNE HESKEW A wonderful 3D movie included! 02/23/2017 More on INQUISITION HELL -2 A wonderful 3D movie included! 02/23/2017 More on FORCED BETRAYAL A wonderful 3D movie included! 02/07/2017 More on INQUISITION HELL -2 A wonderful 3D movie included! 01/28/2017 More on INQUISITION HELL -2 A wonderful 3D movie included! 11/29/2016 DAUGHTERS OF THE FALLEN KING Three young beauties chained in the dark dungeons of their father's palace at the mercy of criminal conspirators. 11/12/2016 DAUGHTERS OF THE FALLEN KING Three young beauties chained in the dark dungeons of their father's palace at the mercy of criminal conspirators. 10/27/2016 THE ORDEAL OF ANNE HESKEW A wonderful 3D movie included! 10/27/2016 DAUGHTERS OF THE FALLEN KING Three young beauties chained in the dark dungeons of their father's palace at the mercy of criminal conspirators. 10/12/2016 More on the NEW STORY CHINESE TORTURE CHAMBER A wonderful 3D movie included! 10/12/2016 More on INQUISITION HELL -2 A wonderful 3D movie included! 10/12/2016 DAUGHTERS OF THE FALLEN KING Three young beauties chained in the dark dungeons of their father's palace at the mercy of criminal conspirators. 09/27/2016 A NEW STORY! CHINESE TORTURE CHAMBER A wonderful 3D movie included! 09/27/2016 DAUGHTERS OF THE FALLEN KING is back! Three young beauties chained in the dark dungeons of their father's palace at the mercy of criminal conspirators. 08/11/2016 THE ORDEAL OF ANNE HESKEW A wonderful 3D movie included! 07/27/2016 THE ORDEAL OF ANNE HESKEW is back! 07/12/2016 More on SANTIAGO A wonderful 3D movie included! 07/12/2016 More on INQUISITION HELL -2 A wonderful 3D movie included! 07/12/2016 THE ORDEAL OF ANNE HESKEW is back! 06/14/2016 More on BREAKING HER WILL A wonderful 3D movie included! 05/25/2016 CONQUERED. 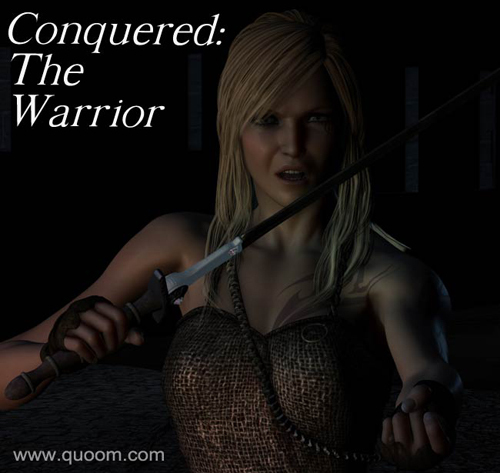 Part 2: The Warrior A wonderful 3D movie included! 05/10/2016 More on SANTIAGO A wonderful 3D movie included! 05/10/2016 More on BREAKING HER WILL A wonderful 3D movie included! 04/26/2016 More on SOPHIE, hot story by OSOUK! 04/13/2016 More on SOPHIE, hot story by OSOUK! A wonderful 3D movie included! 04/13/2016 More on the WET REVENGE A wonderful 3D movie included! 03/28/2016 More on SOPHIE, hot story by OSOUK! 03/28/2016 More on the WET REVENGE A wonderful 3D movie included! 03/14/2016 More on SOPHIE, hot story by OSOUK! A wonderful 3D movie included! 03/14/2016 More on the WET REVENGE A wonderful 3D movie included! 02/28/2016 More on SOPHIE, hot story by OSOUK! A wonderful 3D movie included! 02/28/2016 More on the WET REVENGE TWO wonderful 3D movies included! 02/15/2016 More on SOPHIE, hot story by OSOUK! TWO wonderful 3D movies included! 02/15/2016 More on BREAKING HER WILL A wonderful 3D movie included! 02/01/2016 More on SOPHIE, hot story by OSOUK! 01/13/2016 More on SOPHIE, hot story by OSOUK! 12/14/2015 More on SOPHIE, hot story by OSOUK! 11/24/2015 More on SOPHIE, hot story by OSOUK! 11/10/2015 More on SOPHIE, hot story by OSOUK! 10/26/2015 THE ORDEAL OF ANNE HESKEW is back! 10/26/2015 More on SOPHIE, hot story by OSOUK! A wonderful 3D movie included! 10/12/2015 More on SANTIAGO A wonderful 3D movie included! 10/12/2015 More on SOPHIE, hot story by OSOUK! 09/26/2015 More on SOPHIE, hot story by OSOUK! 09/26/2015 DAUGHTERS OF THE FALLEN KING Three young beauties chained in the dark dungeons of their father's palace at the mercy of criminal conspirators. 09/14/2015 More on SOPHIE, hot story by OSOUK! 09/14/2015 DAUGHTERS OF THE FALLEN KING Three young beauties chained in the dark dungeons of their father's palace at the mercy of criminal conspirators. 08/28/2015 More on the story SOMALIAN PIRATES. 08/28/2015 More on SOPHIE, hot story by OSOUK! 08/28/2015 DAUGHTERS OF THE FALLEN KING Three young beauties chained in the dark dungeons of their father's palace at the mercy of criminal conspirators. 08/12/2015 More on SOPHIE, hot story by OSOUK! 07/28/2015 DAUGHTERS OF THE FALLEN KING Three young beauties chained in the dark dungeons of their father's palace at the mercy of criminal conspirators. A wonderful 3D movie included! 07/28/2015 More on the story SOMALIAN PIRATES. 07/28/2015 LYONESS OF THE SEAS . Part 1: The Lyoness and the Mutineers. 07/28/2015 More on SOPHIE, hot story by OSOUK! A wonderful 3D movie included! 07/11/2015 DAUGHTERS OF THE FALLEN KING Three young beauties chained in the dark dungeons of their father's palace at the mercy of criminal conspirators. 07/11/2015 More on the new story BETRAYED AND SOLD. A wonderful 3D movie included! 07/11/2015 More on the story SOMALIAN PIRATES. 07/11/2015 LYONESS OF THE SEAS . Part 1: The Lyoness and the Mutineers. 07/11/2015 More on SOPHIE, hot story by OSOUK ! A wonderful 3D movie included! 06/29/2015 More on the new story BETRAYED AND SOLD. A wonderful 3D movie included! 06/29/2015 More on the story SOMALIAN PIRATES. 06/29/2015 LYONESS OF THE SEAS . Part 1: The Lyoness and the Mutineers. 06/29/2015 More on SOPHIE, hot story by OSOUK ! 06/05/2015 More on the new story BETRAYED AND SOLD. 06/05/2015 More on the story SOMALIAN PIRATES. 06/05/2015 LYONESS OF THE SEAS . Part 1: The Lyoness and the Mutineers. 06/05/2015 More on SOPHIE, hot story by OSOUK ! 05/24/2015 RIDE TO HELL. A hot story. 05/24/2015 More on the story SOMALIAN PIRATES. A wonderful 3D movie included! 05/24/2015 LYONESS OF THE SEAS . Part 1: The Lyoness and the Mutineers. 05/24/2015 More on SOPHIE, hot story by OSOUK ! 05/07/2015 RIDE TO HELL. A hot story. 05/07/2015 LYONESS OF THE SEAS . Part 1: The Lyoness and the Mutineers, is back! 05/07/2015 More on SOPHIE, hot story by OSOUK ! 04/24/2015 LYONESS OF THE SEAS . Part 1: The Lyoness and the Mutineers, is back! 04/24/2015 More on SOPHIE, by OSOUK ! 04/09/2015 More on SOPHIE, by OSOUK ! 03/27/2015 DAUGHTERS OF THE FALLEN KING Three young beauties chained in the dark dungeons of their father's palace at the mercy of criminal conspirators. 03/13/2015 DAUGHTERS OF THE FALLEN KING Three young beauties chained in the dark dungeons of their father's palace at the mercy of criminal conspirators. 02/27/2015 DAUGHTERS OF THE FALLEN KING Three young beauties chained in the dark dungeons of their father's palace at the mercy of criminal conspirators. 02/05/2015 RIDE TO HELL. A hot story. A wonderful 3D movie included! 12/03/2014 More on THE ORDEAL OF ANNE HESKEW. A wonderful 3D movie included! 11/11/2014 INQUISITION HELL A Middle Age story. THE END! 10/28/2014 INQUISITION HELL is back! A Middle Age story. 10/07/2014 INQUISITION HELL is back! A Middle Age story. 09/24/2014 DAUGHTERS OF THE FALLEN KING Three young beauties chained in the dark dungeons of their father's palace at the mercy of criminal conspirators. 09/09/2014 DAUGHTERS OF THE FALLEN KING Three young beauties chained in the dark dungeons of their father's palace at the mercy of criminal conspirators. 08/25/2014 DAUGHTERS OF THE FALLEN KING Three young beauties chained in the dark dungeons of their father's palace at the mercy of criminal conspirators. 08/25/2014 CONQUERED. Part 1: The Queen TWO wonderful 3D movies included! 08/10/2014 DAUGHTERS OF THE FALLEN KING Three young beauties chained in the dark dungeons of their father's palace at the mercy of criminal conspirators. 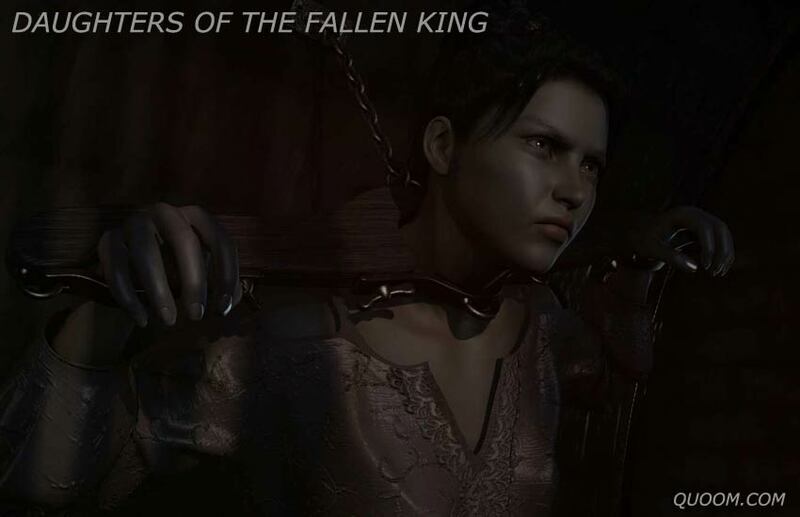 07/27/2014 DAUGHTERS OF THE FALLEN KING Three young beauties chained in the dark dungeons of their father's palace at the mercy of criminal conspirators. 07/27/2014 CONQUERED. Part 1: The Queen A wonderful 3D movie included! 07/10/2014 DAUGHTERS OF THE FALLEN KING Three young beauties chained in the dark dungeons of their father's palace at the mercy of criminal conspirators. 06/24/2014 DAUGHTERS OF THE FALLEN KING Three young beauties chained in the dark dungeons of their father's palace at the mercy of criminal conspirators. 06/05/2014 DAUGHTERS OF THE FALLEN KING Three young beauties chained in the dark dungeons of their father's palace at the mercy of criminal conspirators. 05/22/2014 DAUGHTERS OF THE FALLEN KING Three young beauties chained in the dark dungeons of their father's palace at the mercy of criminal conspirators. 04/21/2014 DAUGHTERS OF THE FALLEN KING Three young beauties chained in the dark dungeons of their father's palace at the mercy of criminal conspirators. 04/21/2014 INQUISITION HELL is back! A Middle Age story. 03/30/2014 DAUGHTERS OF THE FALLEN KING Three young beauties chained in the dark dungeons of their father's palace at the mercy of criminal conspirators. 03/19/2014 DAUGHTERS OF THE FALLEN KING i Three young beauties chained in the dark dungeons of their father's palace at the mercy of criminal conspirators. 02/28/2014 DAUGHTERS OF THE FALLEN KING i Three young beauties chained in the dark dungeons of their father's palace at the mercy of criminal conspirators. 02/10/2014 DAUGHTERS OF THE FALLEN KING i Three young beauties chained in the dark dungeons of their father's palace at the mercy of criminal conspirators. 01/25/2014 CONQUERED. Part 1: The Queen A wonderful 3D movie included! 01/25/2014 DAUGHTERS OF THE FALLEN KING i Three young beauties chained in the dark dungeons of their father's palace at the mercy of criminal conspirators. QUOOM TEAM WISH YOU MERRY XMAS AND HAPPY NEW YEAR! 12/10/2013 DAUGHTERS OF THE FALLEN KING i Three young beauties chained in the dark dungeons of their father's palace at the mercy of criminal conspirators. 11/25/2013 INQUISITION HELL! A Middle Age story. 11/25/2013 DAUGHTERS OF THE FALLEN KING i Three young beauties chained in the dark dungeons of their father's palace at the mercy of criminal conspirators. 10/25/2013 DAUGHTERS OF THE FALLEN KING is back! Three young beauties chained in the dark dungeons of their father's palace at the mercy of criminal conspirators. 09/30/2013 DAUGHTERS OF THE FALLEN KING is back! Three young beauties chained in the dark dungeons of their father's palace at the mercy of criminal conspirators. 09/17/2013 INQUISITION HELL! A Middle Age story. 08/27/2013 INQUISITION HELL! A Middle Age story. 08/13/2013 INQUISITION HELL! A Middle Age story. 07/06/2013 INQUISITION HELL! A Middle Age story. 06/23/2013 INQUISITION HELL! A Middle Age story. 06/03/2013 INQUISITION HELL! A Middle Age story. 05/20/2013 INQUISITION HELL! A Middle Age story. 05/08/2013 INQUISITION HELL! A Middle Age story. 05/08/2013 CAUGHT IN PYONGYANG. A nightmarish story... A wonderful 3D movie included! 04/22/2013 INQUISITION HELL! A Middle Age story. 03/27/2013 INQUISITION HELL! A Middle Age story. 03/16/2013 INQUISITION HELL! A Middle Age story. 02/18/2013 THE TRAITOR, a punishment hard story... TWO wonderful 3D movie included! 01/24/2013 INQUISITION HELL! A Middle Age story. 01/14/2013 INQUISITION HELL! A Middle Age story. 12/28/2012 Check what's coming in YEAR 2013. An exhaustive preview of 131 exciting images! 12/14/2011 INQUISITION HELL! A Middle Age story. 11/27/2012 DAUGHTERS OF THE FALLEN KING. Three young beauties chained in the dark dungeons of their father's palace at the mercy of criminal conspirators. 11/09/2012 DAUGHTERS OF THE FALLEN KING. Three young beauties chained in the dark dungeons of their father's palace at the mercy of criminal conspirators. 10/26/2012 DAUGHTERS OF THE FALLEN KING. Three young beauties chained in the dark dungeons of their father's palace at the mercy of criminal conspirators. A wonderful 3D movie included! 09/25/2011 INQUISITION HELL! A Middle Age story. A wonderful 3D movie included! 09/05/2012 DAUGHTERS OF THE FALLEN KING. Three young beauties chained in the dark dungeons of their father's palace at the mercy of criminal conspirators. 08/14/2011 INQUISITION HELL! A Middle Age story. A wonderful 3D movie included! 08/14/2012 DAUGHTERS OF THE FALLEN KING. Three young beauties chained in the dark dungeons of their father's palace at the mercy of criminal conspirators. 07/26/2011 INQUISITION HELL! A Middle Age story. A wonderful 3D movie included! 07/26/2012 DAUGHTERS OF THE FALLEN KING. Three young beauties chained in the dark dungeons of their father's palace at the mercy of criminal conspirators. 07/13/2012 DAUGHTERS OF THE FALLEN KING. Three young beauties chained in the dark dungeons of their father's palace at the mercy of criminal conspirators. 06/24/2012 DAUGHTERS OF THE FALLEN KING. Three young beauties chained in the dark dungeons of their father's palace at the mercy of criminal conspirators. 06/11/2012 DAUGHTERS OF THE FALLEN KING. Three young beauties chained in the dark dungeons of their father's palace at the mercy of criminal conspirators. 06/11/2011 INQUISITION HELL! A Middle Age story. A wonderful 3D movie included! 05/29/2012 DAUGHTERS OF THE FALLEN KING. Three young beauties chained in the dark dungeons of their father's palace at the mercy of criminal conspirators. 05/29/2011 INQUISITION HELL! A Middle Age story. A wonderful 3D movie included! 05/15/2012 DAUGHTERS OF THE FALLEN KING. Three young beauties chained in the dark dungeons of their father's palace at the mercy of criminal conspirators. 04/23/2012 DAUGHTERS OF THE FALLEN KING. Three young beauties chained in the dark dungeons of their father's palace at the mercy of criminal conspirators. 04/04/2012 DAUGHTERS OF THE FALLEN KING. Three young beauties chained in the dark dungeons of their father's palace at the mercy of criminal conspirators. 03/20/2012 DAUGHTERS OF THE FALLEN KING. Three young beauties chained in the dark dungeons of their father's palace at the mercy of criminal conspirators. 03/20/2011 INQUISITION HELL! A Middle Age story. A wonderful 3D movie included! 03/02/2012 DAUGHTERS OF THE FALLEN KING. Three young beauties chained in the dark dungeons of their father's palace at the mercy of criminal conspirators. 03/02/2011 INQUISITION HELL! A Middle Age story. A wonderful 3D movie included! 02/15/2011 INQUISITION HELL! A Middle Age story. A wonderful 3D movie included! 12/14/2011 INQUISITION HELL! A Middle Age story. A short 3D movie included. 11/15/2011 INQUISITION HELL! A Middle Age story. 11/04/2011 INQUISITION HELL! A Middle Age story. A short 3D movie included. 09/28/2011 ANOTHER SUPER MEGA UPDATE! THE TRAITOR, A NEW STORY! SPECTACULAR END OF JUNE UPDATE! 06/25/2011 WAR VICTIMS. 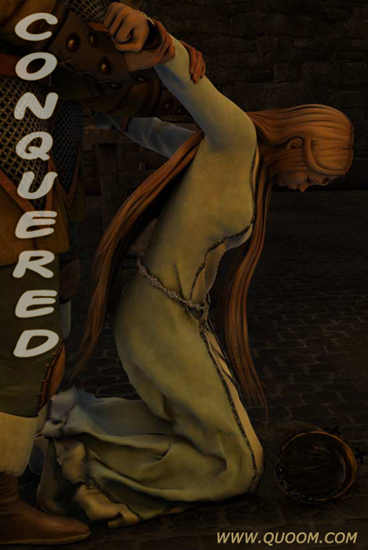 Cruel, bloodthirsty conquerors and defenseless victims of war. 05/30/2011 A new story starts! WAR VICTIMS. Cruel, bloodthirsty conquerors and defenseless victims of war. 04/26/2011 DON'T CHEAT THE MAFIA. It's a very bad idea... + 3D MOVIE! 04/08/2011 DON'T CHEAT THE MAFIA. It's a very bad idea... PLUS 3D MOVIE! 12/30/2010 Check what's coming in YEAR 2010. An exhaustive, hot preview! 10/11/2010 A NEW SERIES STARTS: TIGER BENCH! 09/28/2010 EYE FOR AND EYE. A retaliation story... A movie clip included! 09/28/2010 IN THE HANDS OF THE MILITARY. 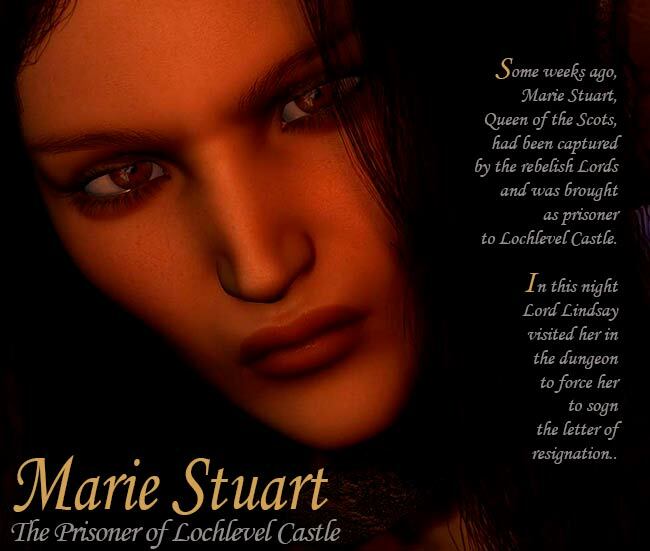 A secret female prisoner in the hands of her military keepers! 09/13/2010 EYE FOR AND EYE. A retaliation story... A movie clip included! 09/13/2010 ENCHAINED. Heavily chained to the floor, stark naked, trembling with fear, the young woman waits for her captors to appear... A movie clip included! 07/02/2010 IN THE HANDS OF THE MILITARY. A secret female prisoner in the hands of her military keepers! 07/02/2010 TOO PROUD TO LIVE She won't abase herself in front of her captors. She'll pay for it dearly! 06/17/2010 IN THE HANDS OF THE MILITARY. A secret female prisoner in the hands of her military keepers! 05/11/2010 IN THE HANDS OF THE MILITARY. A secret female prisoner in the hands of her military keepers! 04/28/2010 IN THE HANDS OF THE MILITARY. A secret female prisoner in the hands of her military keepers! 04/12/2010 IN THE HANDS OF THE MILITARY. A secret female prisoner in the hands of her military keepers! 03/31/2010 IN THE HANDS OF THE MILITARY. A secret female prisoner in the hands of her military keepers! 03/15/2010 IN THE HANDS OF THE MILITARY. A secret female prisoner in the hands of her military keepers! 03/01/2010 IN THE HANDS OF THE MILITARY. A secret female prisoner in the hands of her military keepers! 02/09/2010 IN THE HANDS OF THE MILITARY. A secret female prisoner in the hands of her military keepers! 01/29/2010 IN THE HANDS OF THE MILITARY. A secret female prisoner in the hands of her military keepers! 01/10/2010 IN THE HANDS OF THE MILITARY. A secret female prisoner in the hands of her military keepers! 01/10/2010 TOO PROUD TO LIVE She won't abase herself in front of her captors. She'll pay for it dearly! 12/10/2009 IN THE HANDS OF THE MILITARY. A secret female prisoner in the hands of her military keepers! 12/10/2009 TOO PROUD TO LIVE She won't abase herself in front of her captors. She'll pay for it dearly! 11/16/2009 IN THE HANDS OF THE MILITARY. A secret female prisoner in the hands of her military keepers! 10/20/2009 IN THE HANDS OF THE MILITARY. A secret female prisoner in the hands of her military keepers! 09/10/2009 IN THE HANDS OF THE MILITARY. A secret female prisoner in the hands of her military keepers! 08/20/2009 IN THE HANDS OF THE MILITARY. A secret female prisoner in the hands of her military keepers! 08/04/2009 IN THE HANDS OF THE MILITARY. A secret female prisoner in the hands of her military heepers! 07/23/2009 IN THE HANDS OF THE MILITARY. A secret female prisoner in the hands of her military heepers! 07/23/2009 MERCENARY IN TROUBLE, a wild interrogation story. 06/22/2009 IN THE HANDS OF THE MILITARY. A secret female prisoner in the hands of her military heepers! 06/22/2009 MERCENARY IN TROUBLE, a wild interrogation story. 06/03/2009 IN THE HANDS OF THE MILITARY. A stunning new story! 05/12/2009 MERCENARY IN TROUBLE, a wild interrogation story. 04/28/2009 MERCENARY IN TROUBLE, a wild interrogation story. 04/09/2009 MERCENARY IN TROUBLE, a wild interrogation story. 01/19/2009 MERCENARY IN TROUBLE. In the power of the enemy! 11/30/2008 A new chapter of MIDORI... Old Japanese war lords story. 11/17/2008 A new chapter of MIDORI... Old Japanese war lords story. 10/28/2008 A new chapter of MIDORI... Old Japanese war lords story. 10/14/2008 A new chapter of MIDORI... Old Japanese war lords story. 09/30/2008 A new chapter of MIDORI... Old Japanese war lords story. 09/29/2008 After 4 years MISSION IMPOSSIBLE is back. HOT FINAL SCENE plus a MOVIE! 08/17/2008 A new chapter of MIDORI... Old Japanese war lords story. 07/05/2008 VIKING'S PREY an horrifying dungeon story with a lovely main character. 06/16/2008 LAST QUEEN OF TROY. A 3D movie!!! 06/16/2008 A new chapter of MIDORI... Old Japanese war lords story. 06/02/2008 SAMUARI JUSTINE. A hot story!!! 06/02/2008 A new chapter of MIDORI... Old Japanese war lords story. 05/19/2008 VIKING'S PREY an horrifying dungeon story with a lovely main character. 05/19/2008 SAMUARI JUSTINE. A new story!!! 04/30/2008 VIKING'S PREY an horrifying dungeon story with a lovely main character. 04/14/2008 A new chapter of MIDORI... Old Japanese war lords story. 04/14/2008 VIKING'S PREY a new wonderful story STARTS! 03/28/2008 A new chapter of MIDORI... Old Japanese war lords story. 03/18/2008 VIKING'S PREY a new wonderful story STARTS! 03/18/2008 A new chapter of MIDORI... Old Japanese war lords story. 02/29/2008 VIKING'S PREY a new wonderful story STARTS! 02/15/2008 VIKING'S PREY a new wonderful story STARTS! 01/30/2008 VIKING'S PREY a new wonderful story STARTS! 01/04/2008 Check what's coming in YEAR 2008. Hot stories!